Distillery Hours – Monday through Wednesday • 10AM to 5PM, Thursday through Saturday • 10AM to 5:30PM, Sunday (March – November only) • Noon to 4PM. General admission is $5 and free to military families. 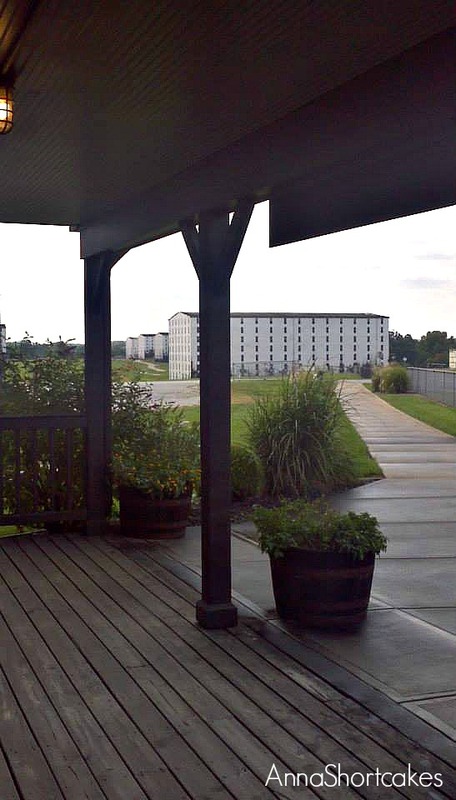 What makes Heaven Hill Distillery different from other distilleries? Heaven Hill Distilleries is America’s largest independent, family-owned and operated producer and marketer of distilled spirits. Heaven Hill is America’s seventh-largest supplier of distilled spirits. Aging in its facilities is the second largest inventory of aging Kentucky whiskey in the world, with over 900,000 barrels. This accounts for nearly 17 percent of the world’s future supply of Bourbon. Heaven Hill has filled over six million barrels of Kentucky Bourbon since it was founded after the repeal of Prohibition. Pretty incredible! Founded by the five Shapira brothers in 1934, the Heaven Hill Distilleries is still run by descendants of the Shapiras, making it the only family owned and operated bourbon distillery on the Bourbon Trail. With a brief pause during WWII to manufacture alcohol for the war effort, the distillery has continued to operate and now is the seventh largest spirits supplier in the US and the second largest holder of aging bourbon in the world with 900,000 barrels in stock (this is according to their website.) Today, Heaven Hill Distilleries is the owner of such brands as Copa De Oro Coffee Liqueur, Dubonnet Aperitif, Coronet VSQ Brandy, DuBouchett Cordials and Liqueurs, and Burnett’s Vodka. For a full list, click this link. The Bourbon Heritage Center is the main visitors center for the distillery. This building was built to pay homage to the bourbon trade. Limestone is used for the brickwork, copper is used in the roofing, and oak as the hardwood flooring. It was named The International Whiskey Visitor Attraction of the Year 2009 Winner by Whisky Magazine. It is quite lovely indeed. Our tour guide was a very nice lady who was knowledgeable about the bourbon. She took us to a rick house, gave us quite a few details about the distillation process, and gave an excellent tasting. I do have a couple of reservations about the tour. We didn’t see much- just the visitors center and the rick house. For being such a large operation, I would have liked to have seen more of the actual operations. We didn’t get to see any of the actual distillation process. Instead, they set up a model in the visitors center. If this is going to be your only visit to a distillery, this is not the place to go. It was a good tour but your won’t see much of the process. 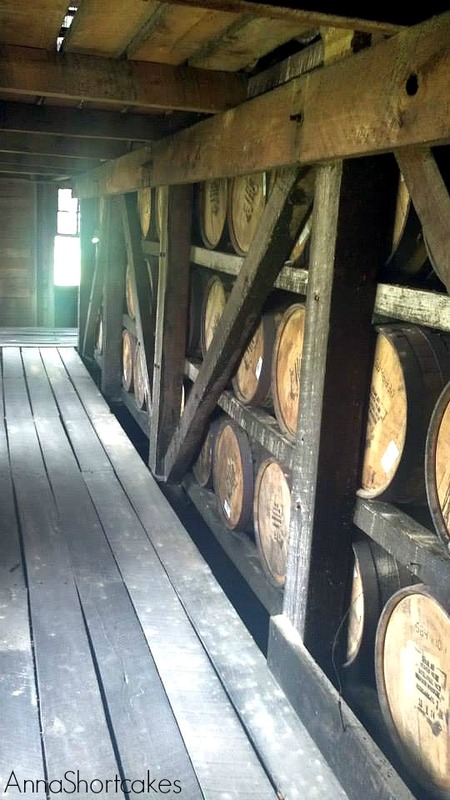 I suggest some place like Woodford Reserve, Maker’s Mark or Buffalo Trace (not on the Trail.) We did get an excellent tasting, though. The tour guide made the effort of talking about the flavor profiles that we should taste in each sample. We tried each of the bourbons straight and with a bit of water. She also told us how the master distiller felt each bourbon was best savored. If he doesn’t know how it is best tasted, I doubt I will. And I appreciated the expert tip. Evan Williams was about to release a new seasonal bourbon based liquor- Apple Orchard. I asked the tour guide if it was good and she said “Do you want to taste it?” Of course, I said yes and we got an extra sample! I love that she was passionate enough about the product to try to convert me. And she did. We bought a bottle as soon as it was on the market. Overall this was a nice tour, but I wouldn’t want this to be someone’s only distillery visit.